The Triple Display 196 is an innovative new concept in DMM design. The unique display enables you to view more than one event at a time. This eliminates the hassle of switching back and forth to review minimum, maximum or preset comparative values. The FLIR TA74 Universal Flex Current Probe Accessory is a cross brand compatible, current probe extension available in 10" and 18" variations (see also TA72). Testo 805i Infrared Thermometer is part of the Testo Smart Probes series. It is a Bluetooth enabled device to be operated with smartphone or tablet which can be used with other probes in the range. Plumb, level, and square with one tool. 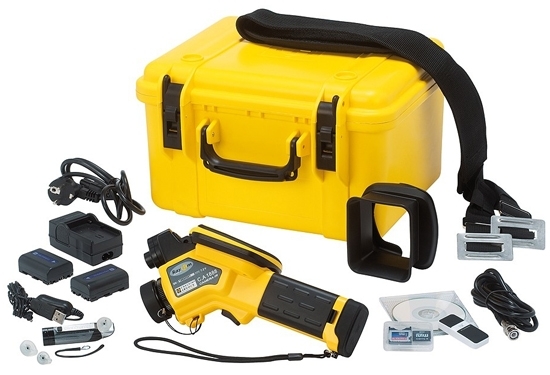 This professional self- leveling combination point and cross line laser level in red and green includes vertical and horizontal modes with lines and points combined.